Going for the gold! 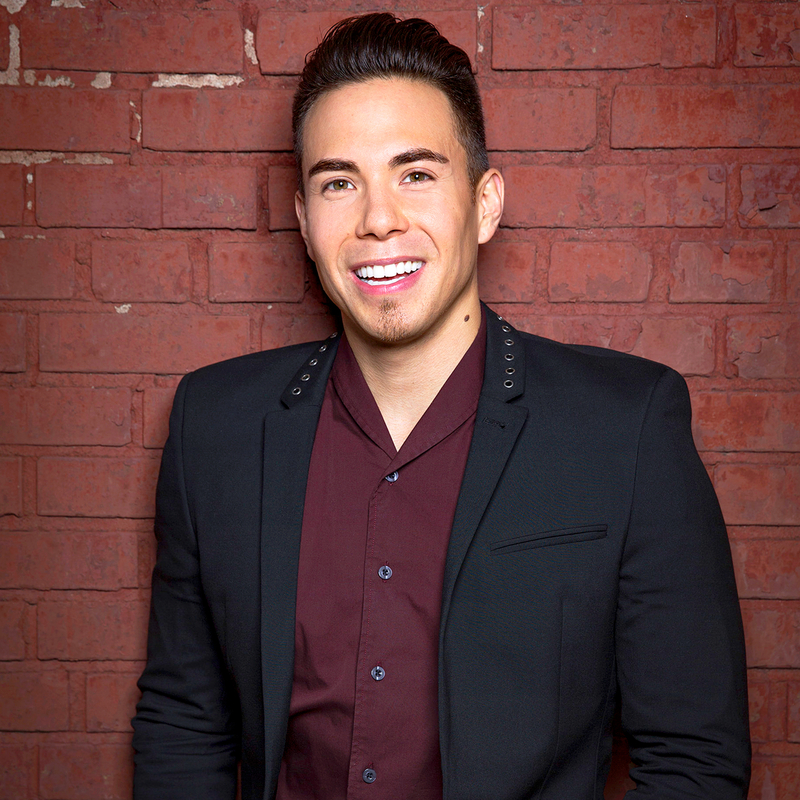 Apolo Ohno submits to Us’ speed round to share 25 things you may not know about him. The skater and eight-time Olympic medalist, 35, announces season 2 of NBC’s Spartan: Ultimate Team Challenge when it returns June 12 at 10 p.m. ET. 1. I’m 5.2 percent Italian, 49 percent Japanese, 27 percent Irish and British and the remainder is a mix. 2. I was traditionally fascinated with power sports and wanted to be a running back in football, but my father never wanted me to be a football player. 3. My father cut and styled my hair until I was 27. 4. I prefer experiences versus things. 5. Nature is my first love. I feel most alive when I’m in nature and moving. I like running and water activities. 6. I’m a biohacker interested in improving the quality of life physiologically and mentally. I experiment with herbs, plants, flowers and nutraceuticals. 7. I’m fascinated with human behavior and why we do what we do. 8. I prefer tea over coffee. I make one or the other every morning. 9. I love music festivals. My favorites are Coachella and Electronic Daisy Carnival in Las Vegas. 10. I’m a Gemini. I have 888 personalities. 11. Red, gold and black are my favorite colors. 12. Cookies and cream is my favorite ice cream flavor. 13. I have massive OCD. 14. I believe in karma. I think we should do good as much as possible because it will come back to us in some capacity. 15. I like the sport of badminton. 16. I’m frequently reading about human origin. 17. I love producing and hosting TV. I love broadcasting for the Olympics and working on projects that revolve around sports, mental strength, second chances and human potential. 18. I’m terrible at singing. When you are bad at singing, you know it. 19. I’m a huge electronic music fan. Eric Prydz, Kygo, Marshmello, Above and Beyond and Chillstep, Above and Beyond and Chillstep are some of my favorite artists. 20. I meditate daily. I started when I was 14 years old — my father taught me. Now, it’s critical to my well-being. 21. I spend half of the year in different cities other than my own. I’m currently based in L.A., but love NYC, the Pacific Northwest and Southern California. 22. My father is 100 percent Japanese and he’s my best friend and mentor. 23. I am grateful for every win, loss and draw in my life. 24. I read a lot. I don’t have a favorite book, but I keep re-reading Extreme Ownership by Jocko Willing and Leif Babin and Simon Sinek’s Why Leaders Eat Last. 25. My guilty pleasure as of late is the TV show Westworld on HBO. It’s believable that this could happen in the future!